The International Summer School 2018 took place from 16th to 28th of July 2018 at the University of Cape Coast (UCC) in Ghana. The theme was „Engendered Politics of Place and Belonging“ with (female) instructors of Friedensau University. This year’s Summer school also approached the topics of gender, belonging and place from different perspectives. The participants came from Botswana, Germany, Ghana, Kenia, Nigeria, Ruanda, Zimbabwe, Spain, South Africa, South-Sudan, Sudan, Tanzania and Uganda. The research interest was specialized on questions referring to “Politics of Belonging”. Nearly 30 participants were involved in the program. It was the 3rd cooperation weekend between the center of Gender studies, Advocacy and Documentation in Ghana (CEGRAD, UCC) and Friedensau University. 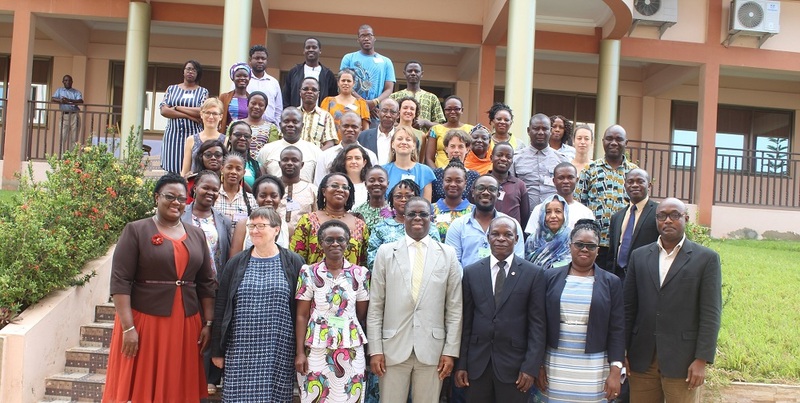 The program was coordinated and designed b Prof. Ulrike Schultz, Dr. Jill Blau (Friedensau University of theological studies ), Dr. Kwaku Arhin-Sam (Jacobs University Bremen) and Prof. Akua Britwum (UCC).